Dr. Carlo M. Croce is the Professor and Chair of Molecular Virology, Immunology and Medical Genetics, Director of the Human Cancer Genetics Program, and Director of the Institute of Genetics at The Ohio State University Comprehensive Cancer Center. His research has revealed the variety of mutated genes involved in leukemias, lymphomas and other cancers. Dr. Croce is world-renowned for his contributions involving the genes and genetic mechanisms implicated in the pathogenesis of human cancer. During the course of his career, he discovered the juxtaposition of the human immunoglobulin genes to the MYC oncogene, the deregulation of MYC in Burkitt lymphoma, the ALL1 gene involved in acute leukemias, the TCL1 gene associated with T-cell leukemias, and cloned and characterized the BCL2 gene involved in follicular lymphoma. Dr. Croce has also uncovered the early events involved in the pathogenesis of lung, nasopharyngeal, head and neck, esophageal, gastrointestinal and breast cancers. His discoveries have led to revolutionary innovations in the development of novel and successful approaches to cancer prevention, diagnosis, monitoring and treatment, based on gene-target discovery, verification and rational drug development. Dr. Croce is a member of the National Academy of Sciences, Institute of Medicine, American Academy of Arts and Sciences and an AAAS Fellow. He is principal investigator on seven federal research grants and has more than 1000 peer-reviewed, published research papers. Dr. Xiang-Dong Fu is Professor of Cellular and Molecular Medicine at University of California, San Diego. 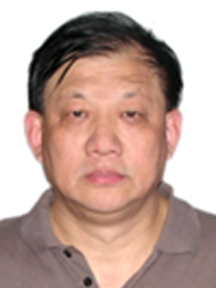 Dr. Fu received his MS degree in Virology from Wuhan University, China in 1982, PhD degree in Biochemistry from Case Western Reserve University in 1988 (via the CUSBEA program), and postdoctoral training at Harvard from 1988 to 1992. Dr. Fu joined the faculty of University of California, San Diego in 1992. Dr. Fu was responsible for co-discovery of SR proteins. His laboratory was the first to identify a family of kinases specific for SR proteins and demonstrated that these kinases are critical for transducing external and intracellular signals to regulate alternative splicing in the nucleus. Dr. Fu’s group elucidated a series of regulatory mechanisms for splice site selection in mammalian cells and developed multiple key technologies for high throughput analysis of gene expression, mRNA isoforms, and genomic interactions. Dr. Fu’s current research is focused on integrated regulation of gene expression at transcriptional and post-transcriptional levels. 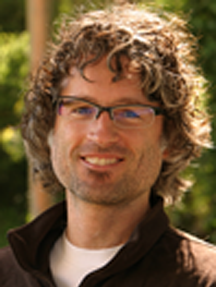 Dr. Brian Haas is a Senior Computational Biologist in the Klarman Cell Observatory at the Broad Institute, where he supports genome and transcriptome sequence analysis and related software development. 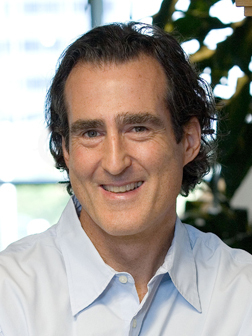 Dr. Brian obtained a MS in molecular biology from SUNYA and a MS in computer science from Johns Hopkins University, and has pursued a career in genomics and bioinformatics since 1999. Dr. Brian is an active member of the bioinformatics open source software development community and is a lead developer of the Trinity RNA-Seq assembly (http://trinityrnaseq.sf.net) and PASA transcript-based genome annotation (http://pasa.sf.net) software projects. Dr. Kumar earned his Ph.D. in plant molecular biology (with a designated emphasis in biotechnology) from the University of California at Davis in 2008. He then transitioned to molecular diagnostics and therapeutics when he joined Somagenics Inc, a startup company in Santa Cruz, CA. He helped develop a small RNA PCR detection platform, which was the first in class to be able to differentiate between 2’OMe modified small RNAs (piRNAs, a proportion of plant miRNAs for example) and standard 2′-OH small RNAs. This resulted in development of over 50 miRNA assays which are under evaluation and testing with both academic and industrial partners and a patent application. He then moved to Andover, MA in Nov 2010, where he joined Eisai Inc to lead efforts to develop miRNAs as potential biomarkers, and help integrate them with the company pipeline in addition to serving as potential stand alone diagnostics. This has recently led to both a publication and patent application for novel circulating miRNA biomarkers for identifying Alzheimer Disease patients. He also leads their next-generation sequencing efforts which are based on the Ion Torrent PGM platform. 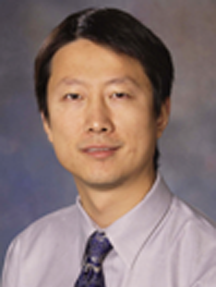 Dr. Wei Li is an Associate Professor in the Dan L. Duncan Cancer Center and Department of Molecular and Cellular Biology at Baylor College of Medicine. 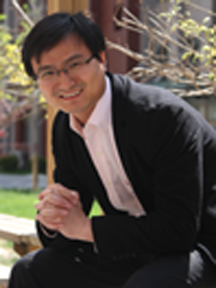 Dr. Li received his PhD in Bioinformatics from the Chinese Academy of Sciences and postdoctoral training in the Department of Biostatistics and Computational Biology at the Dana-Farber Cancer Institute and Harvard School of Public Health. 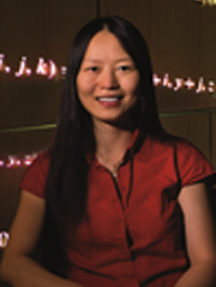 Dr. Li’s research is focused on the design and application of statistical and computational algorithms to elucidate epigenetic mechanisms in various disease models such as cancer. He has published more than 80 peer-reviewed papers, including 16 in Nature, Science, and Cell series, with a Google Scholar H-index of 31. Dr. Mo-Fang Liu received her Ph.D degree in Biochemistry and Molecule Biology in 2000 from Shanghai Institute of Biochemistry, CAS. 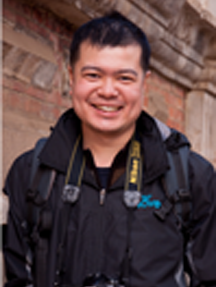 Dr. Liu was a postdoctoral fellow at National Cancer Institute, NIH, from 2000 to 2004. She joined Institute of Biochemistry and Cell Biology, SIBS, CAS, in 2006. The major research interests in her laboratory are the pathological function of miRNAs in cancer and the physiological roles of piRNAs in mammal spermatogenesis. In their recent works, they indicate that miR-155 acts as a bridge between inflammation and cancer through targeting socs1 and activating STAT3 through the JAK pathway (Cancer Res, 2010). Furthermore, they reveal that miR-155 links inflammation and cancer cell energy metabolism through up-regulation of hexokinase-2, a key glycolytic enzyme and pivotal player in the Warburg effect (EMBO J, 2012). Their most recent study shows that piRNAs trigger MIWI ubiquitination and removal by APC/C in late spermatogenesis and proper removal of MIWI/piRNA is essential for sperm maturation (Dev Cell, 2013). Dr. McManus obtained his Ph.D. from the University of Alabama in Birmingham, where he studied RNA editing in the laboratory of Stephen L. Hajduk. He did his postdoctoral training as a Cancer Research Institute fellow, in the laboratory of Nobel Laureate Phillip A. Sharp at the Massachusetts Institute of Technology (MIT), studying the role of RNA-interference pathways in mammals. He is the Stella Coates Endowed Chair and appointed as an Associate Professor at the University of California San Francisco, in the Department of Microbiology and Immunology. He is the founder and Director of the W.M. Keck Center for Noncoding RNAs and also oversees the Lentiviral RNAi Core at UCSF. He has a long-standing interest in post-transcriptional gene regulation and the role of small RNAs in gene expression and carries almost 20 years experience working with noncoding RNA and the regulation of gene expression. Over the last five years to develop high-throughput screening approaches and developing/studying mouse gene knockout models for noncoding RNAs. Dr. Craig C. Mello is an Investigator of the Howard Hughes Medical Institute, the Blais University Chair in Molecular Medicine and Co-director of the RNA Therapeutics Institute at the University of Massachusetts Medical School. Dr. Mello’s lab uses the nematode C. elegans as a model system to study embryogenesis and gene silencing. His collaborative work with Dr. Andrew Fire led to the discovery of RNA interference (RNAi), for which they shared the 2006 Nobel Prize in Physiology or Medicine. Together they showed that when C. elegans is exposed to double-stranded ribonucleic acid – dsRNA, a molecule that mimics a signature of viral infection, the worm mounts a sequence-specific silencing reaction that interferes with the expression of cognate cellular RNAs. For the layperson, RNAi is the cell’s search engine; the Google of the cell. Using readily produced short synthetic dsRNAs, researchers can now submit their own RNAi search queries to silence any gene in organisms as diverse as corn and humans. RNAi allows researchers to rapidly “knock out” the expression of specific genes and to thus define the biological functions of those genes. RNAi also provides a potential therapeutic avenue to silence genes that contribute to disease. Before the Nobel Prize, Dr. Mello’s work on RNAi was recognized with several awards including the National Academy of Sciences Molecular Biology Award, the Canadian Gairdner International Award, the Paul Ehrlich-and Ludwig Darmstaedter Award, and the Dr. Paul Janssen Award for Biomedical Research. He is a member of the National Academy of Sciences, the American Academy of Arts and Sciences, and the American Philosophical Society. Dr. Yangming Wang was born in China in 1979. He received his B.S. degree from the Department of Biotechnology at Peking University. He then joined Dr. Scott K. Silverman’s laboratory to study nucleic acid biochemistry at the University of Illinois at Urbana-Champaign, where he obtained his Ph.D. degree in Biochemistry in 2006. After that, he became a postdoctoral fellow studying microRNAs and embryonic stem cells in Dr. Robert H. Blelloch’s laboratory at the Unviersity of California, San Francisco. He became a principal investigator at the Institute of Molecular Medicine, Peking University in 2011. He defined the global function of miRNAs in embryonic stem cells (ESCs) using Dgcr8 knockout ESC model, discovered novel class of small RNAs in ESCs, and identified miR-294/302 family of miRNAs as important regulators of cell cycle and self-renewal in ESCs. Zhiping Weng earned a B.S. in Electrical Engineering from University of Science and Technology of China in 1992 and a Ph.D. in Biomedical Engineering from Boston University in 1997. She was an instructor in Biomedical Engineering at Boston University for the next two years, when she had primary responsibility for the development of the Bioinformatics program and the core curriculum in Bioinformatics, until the department recruited her as a tenure-track assistant professor. In 2003, Dr. Weng was promoted to Associate Professor with tenure. Until 2007, Dr. Weng’s research had been focused on developing computational methods for obtaining a predictive understanding of transcriptional regulation and protein-protein interaction. Dr. Weng was recruited to University of Massachusetts Medical School in 2008 to build and direct a new Program in Bioinformatics and Integrative Biology. She is a full professor, with tenure in Department of Biochemistry and Molecular Pharmacology. She continues research on computational analysis of transcriptional regulation and protein-protein interaction. She expands her research into two areas: epigenomics and nucleosome positioning, which play important roles in transcriptional regulation, and function and regulation of small silencing RNAs in metazoan. For more information, please visit Dr. Weng’s lab Website . Dr. Li Yang received his Ph.D. degree from the Institute of Biochemistry and Cell Biology, Chinese Academy of Sciences in 2004. Fascinated by the complexity of RNA regulation, Dr. Yang joined Dr. Sidney Altman’s laboratory at Yale University to study the function of Ribonuclease P (RNase P). Later in Dr. Brenton Graveley’s laboratory at University of Connecticut Health Center, his study has moved on to the high throughput sequencing and bioinformatics to study the transcriptome complexity of the model organism, Drosophila melanogaster, which has allowed him to uncover the global impact of individual RNA binding protein on alternative splicing at single-nucleotide resolution, to develop a comprehensive blueprint of the entire Drosophila transcriptome within modENCODE Consortium, and to apply new methods to explore the repertoire of non-polyadenylated RNAs in human cells. 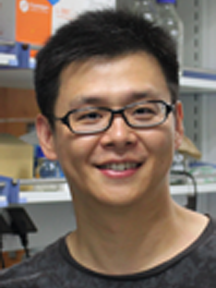 In 2011, Dr. Yang joined CAS-MPG Partner Institute for Computational Biology, Chinese Academy of Sciences to set up his own laboratory, where he and collaborators have successfully identified series of intron-derived non-polyadenylated lncRNAs, either processed and stablized by capping with snoRNAs at both ends, or stablized by forming circular structures. Dr. Yang and collaborators continue using the start-of-the-art deep sequencing technology and computational approaches to pursue his longstanding interest in understanding the complex transcriptome network, including but not limited to alternative splicing, RNA editing and noncoding RNAs . 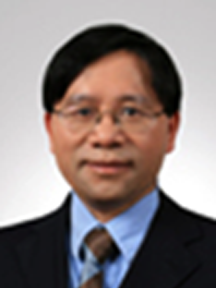 Dr. Zhang is the head of Early Development Statistics – Asian Pacific in Merck Research Laboratories. He got his Ph.D. in statistics from Carnegie-Mellon University, PA, USA. He has worked on data analysis for genome-wide RNAi research and microarrays in drug discovery and development for various diseases for many years. He and his colleagues have continuously developed and published novel analytic methods and experimental designs for quality control and hit selection in genome-scale RNAi research in peer-reviewed journals such as Bioinformatics, Nucleic Acids Research, Cell Host&Microbe, et al. His book titled “Optimal High-Throughput Screening: Practical Experimental Design and Data Analysis for Genome-scale RNAi Research” was published by Cambridge University Press, Cambridge, UK in 2011.One of his first-authored articles has been listed among the top 50 most-cited articles inBioinformatics since 2013. Three of his articles (two first-authored and one second-authored) have been listed among the top 50 most-cited articles in Journal of Biomolecular Screening since 2008. One of his co-authored articles had been listed by Nature Medicine in their year-end review on Notable advances in 2008. He has membership in professional competition committee, serves in the Editorial Board in multiple peer-reviewed journals, has served as a referee in many peer-reviewed journals, and has been invited to be an expert evaluator for grant proposals in both the European Union 7th Framework Programme and USA NIH Study Section. He has also been invited to give presentations in many international conferences and seminars in many research universities in both USA and China.He is a committee member for Functional Genomics and System Biology, Chinese Society for Cell Biology. 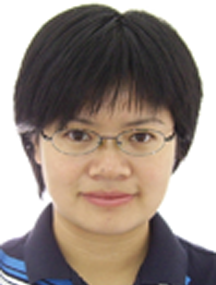 Dr. Gong Zhang has been working on Translatomics, i.e. rules and biological implications of translational control, especially in the global level. He proposed that the amino acid sequence is not sufficient for protein folding, and translational pausing is the additional and essential information for co-translational folding. This renewed the Anfinsen’s Dogma. He revealed, for the first time, the quantitative rule of transmission from mRNA to protein, and thus solved the open question for 55 years since Central Dogma was proposed. He also developed the extremely accurate and robust read mapping algorithm for next-generation sequencing. The research in Jingde Zhu’s group is focused at both basci and translational aspects of cancer biology viewed from DNA methylation perspective. They are supported by both Central and local governments in China and the 6th Frame program from Europe. 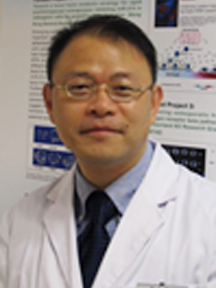 Dr. Zhu has published over fifty paper in the peer-review journals, including those in Cell, Nature, Nature Biotechnology, Cell Research, Cancer Research, NAR, CCR, Oncogene, JBC, Cancer Gene Therapy, , and etc. He is the inventor of one approved US patent and two filed US PCT. He is also the inventor of four approved and two filed patents in China. 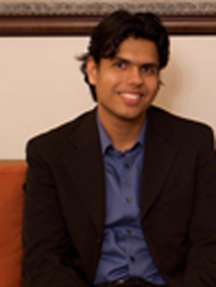 He has organized four international conferences and spoken in over 40 onferences in life sciences in last five years.